I have been meaning to write you a thank you note since my father James Joseph Orlow z”l passes away at the end of August. This past Shabbat when reading Beshalach, that week’s Torah portion, I realized that I really needed to write you. Yes I am an Orthodox Rabbi, so let me explain. It is not the first time that God “stiffened the heart of Pharaoh”, but it surely was the last. This divine constraint compelled the leader of the world to drive his army to the ends of the world to return his slaves. His hardened heart lead him and his people to their deaths in the sea. While it is interesting to contemplate the nature of this compulsion I am more interested to imagine how Moshe interpreted Pharaoh’s actions. While Moshe was the leader of this slave rebellion, he was also someone who grew up in Pharaoh’s home. Moshe was someone who had conflicting loyalties. Was Moshe saddened to see his Egyptian friends suffer through the plagues because Pharaoh would not let the Israelites go? Did Moshe resent Pharaoh? How must it have felt to see Pharaoh coming over the horizon with hundreds of chariots pursuing him and his people? Did Moshe struggle with having to decide between the death of one or the other of his people? How did Moshe judge Pharaoh’s behavior? Thinking about these questions I realized that you might have answered them with a simple question you asked in Rising Strong. There we read, “It got me thinking about the people I’ve been struggling with and judging. I asked myself – are they doing the best they can with the tools that they have?” God told Moshe and us the readers that God “stiffened the heart of Pharaoh” so he and we could understand that Pharaoh was doing the best he could with the tools he had. I like to think that Moshe learned this lesson from you so that he would not judge Pharaoh. In this imagination I can also strive to have a positive attitude toward everyone. So now I can get to the thank you note. The last time I saw my father I went to visit him to talk about getting better support in place for my ailing mother and help him think about shifting into semi-retirement. My mother has many health issues and at 82 it seemed as though it might be time for him to cut back at work. There were many times in that conversation that I found myself completely outraged by his obstinance. Over the day of talking with him there were many times that I almost lost it and wanted to scream at him. Instead of expressing my judgement of his pigheadedness I kept saying to myself, “He is doing the best can with the tools he has”. Repeating this mantra let me maintain an openness to the person he was instead of holding on to the futile imagination of the person I wanted him to be. My father died three days later. If it was not for your teaching I am certain that my last interaction with my father would not have been a good one. I can only imagine the scars in my soul if my last interaction with my father would have been plagued by screaming and judgement. Your lesson softened my heart so I could come to grips with his stiffened heart. 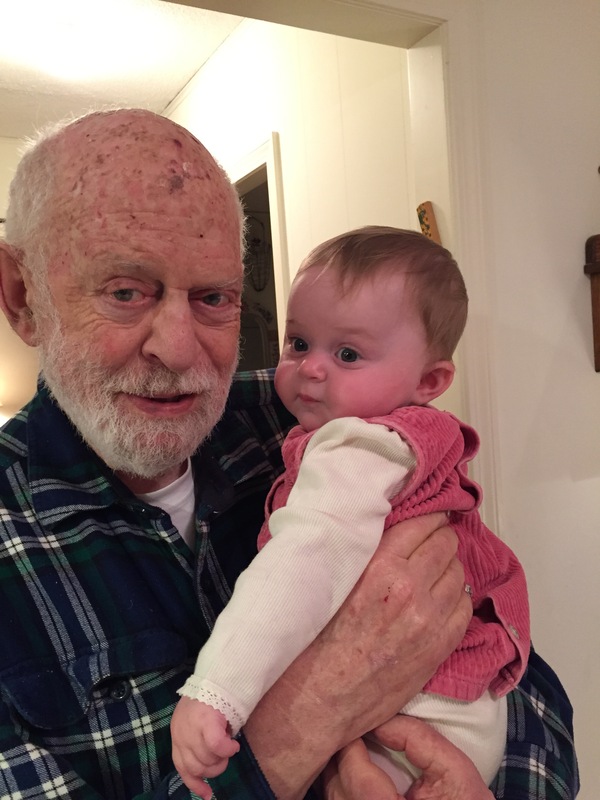 Your teaching helped me show up and allowed me to leave space for my father to be seen. I am forever indebted to you. I find your teachings profoundly liberating. Thank you. I wish you many blessings. As part of mourning process for the passing of my father I arranged a group of people to learn the entire Mishnah in his memory. While Shloshim technically came to an end on Rosh HaShannah, over Sukkot we will mark 30 days since his passing. I wanted to thank all of the people around the world who joined in this noble cause of lifting up his neshama, soul, during this period of time. A full list of the people who joined in this learning project can be found here. Thank you, this effort means the world to me and my family. 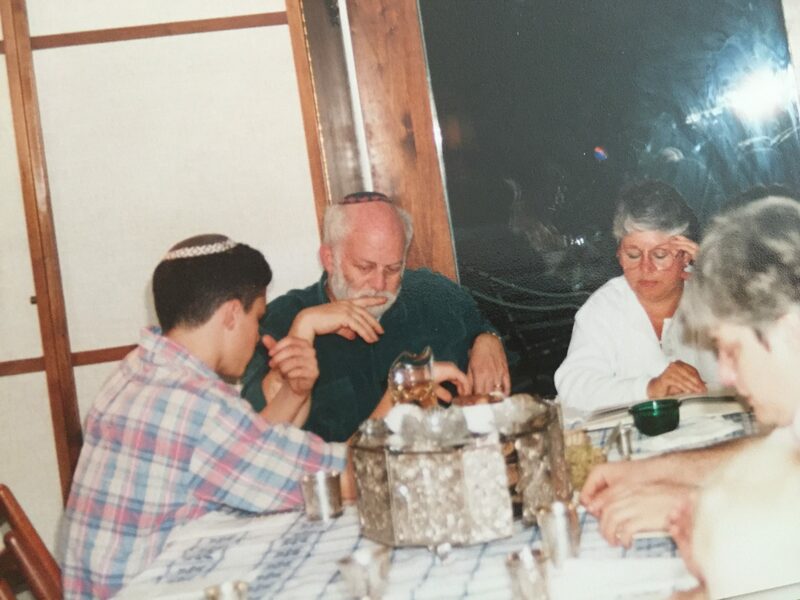 In many regards this captured my father at his best at the head of the table filled with sages. Like his namesake Yaakov who wrestled with the angel, my father enjoyed getting dirty in the dust of their feet ( Genesis 32:25). While he was always thirsty to learn more, like Yaakov he never this these guest get away so easily. At these salons everyone had a voice and everyone needed to defend their point of view. My father always taught us to be curious and confident. We should learn from everyone and know that each of us had a seat and a voice at the table. Thank you again to all those who joined in this Siyum Mishna in the memory of Yaakov Yosef ben Avraham v’Leah. May the memory of James Joseph Orlow z”l be for a blessing. Everyone warned me that the High Holidays would be hard after the recent passing of my father, but in truth, it was just not the case. My father did not especially connect with these holidays. He was not a religious Jew in any conventional way. He did not grow up with much Jewish ritual in his life. At the same time, he was a deeply spiritual person. He spent close to 60 years of his life immersed in the study and practice of law, but I do not think he connected to the idea of a court on high in which we would be judged. Almost his entire career and life was committed to immigrants to this country, but in many ways in the place of the synagogue he himself was an alien. While my dad was a genius and spent an extraordinary amount of his time and energy in his formidable mind, he loved to build things with his hands. When it comes to my mourning process, there is a big part of me that is expecting the shoe to drop on Sukkot. Some of my favorite memories of my father are of his building things. For him, building a Sukkah made more sense than the more abstract Jewish rituals. This Sukkot, I pause to contemplate the nature of the Sukkah, in memory of my father. The Talmud records a difference of opinion between Rabbi Eliezer and Rabbi Akiva regarding the nature of a Sukkah. Rabbi Eliezer teaches that the Sukkot of the desert experience were “clouds of glory,” which hovered over the Children of Israel for forty years in the wilderness. Rabbi Akiva disagrees saying, “The Sukkot were real booths that they built for themselves.” (Sukkah 11b) Did either Rabbi Eliezer and Rabbi Akiva think that when they entered into a Sukkah in their own era that they were actually sitting in the imagined reference point? Either way you cut it the Sukkah is a symbol. Does this symbol represent a metaphor to the Divine presence or does it represent something akin to what we were using in the desert? Clearly these two Rabbis would eat in each other’s Sukkot, so what are they disagreeing about? At one level we could understand the disagreement between Rabbi Eliezer and Rabbi Akiva to be one of understanding what it means to be Jewish. Is being Jewish a religion ( “clouds of glory”) or a nationality (real booths they used post Exodus in the desert)? The Sukkah is a tangible and real structure formed by human hands. And at the same time it is it a spiritual space that connects us to God. The Sukkah can be a symbol of our experience as a people in a physical and historic way, while simultaneously offering a religious manifestation of our metaphysical relationship with God. While at first glance I think that my father might agree with Rabbi Akiva, I truly believe that he connected to Rabbi Eliezer as well. He found deep spiritual fulfillment in creating a space for his family to meet and be together. While, the Sukkah is immersive metaphor we get to really enter our national and religious memories, it is also the place we build to hold family memories. I’m reminded of the many ways in which camp is like a Sukkah, an immersive metaphor we get to really enter. Camp is a community we create with our own hands, yet it is a mystical and meaningful place that transcends the physical space in which it’s located. Like a Sukkah, camp is temporary, but the brevity of our time there endows it with a special sense of holiness all year-long. Additionally, while a Sukkah is an enclosed dwelling made up of four walls to keep us safe, we are supposed to cover it with branches to ensure that we can still see the stars above. Camp also functions this way: while it takes place in a specific space and time and is safe and secure, the lessons we learn and the friends we make transcend these limitations, providing a light that shines through the year – and for the rest of our lives. For many of us camp friends are really like family. For me I expect that my mourning will get real during Sukkot. I find comfort, however, in the nature of the Sukkah itself. A Sukkah is all at once a metaphor for the tangible, mystical, and familial.